Tyler Laube, in the gray shirt, at Huntingon Beach, California in 2017. 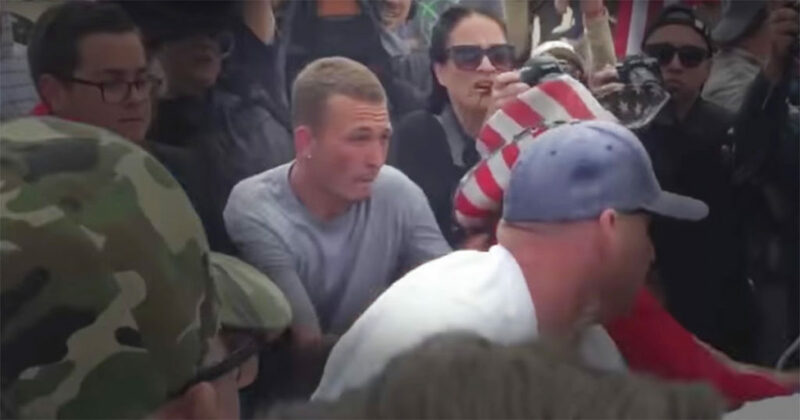 ProPublica’s first article, “Racist, Violent, Unpunished: A White Hate Group’s Campaign of Menace,” raised questions about the law enforcement response to the group’s conduct. 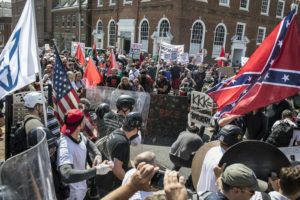 A FRONTLINE film in August, Documenting Hate: Charlottesville, highlighted the group’s founder, Robert Rundo, as well as another member, Michael Miselis, who was working for a defense contractor and possessed a national security clearance. Rundo is in custody in California, and Miselis is being held in Virginia. —Rahima Nasa contributed to this story. 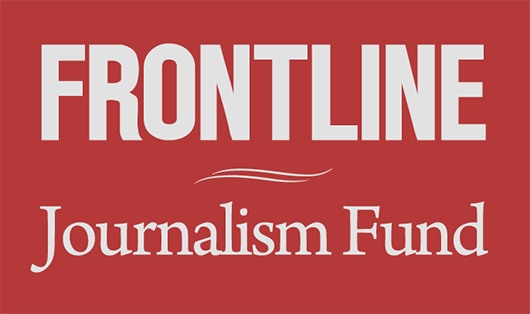 This story is part of an ongoing collaboration between ProPublica and FRONTLINE that includes documentaries beginning with Documenting Hate: Charlottesville, which aired on PBS in August 2018, and Documenting Hate: New American Nazis, which aired Nov. 20.